Great advice, Tim. Where were you when I spilled a cup of tea in my MacBook Air? And a few weeks later when it’s replacement gulped down a cup of coffee. Diane, I’m just glad it’s not a string of alcoholic drinks you’re killing your laptops with. That really would paint a picture! 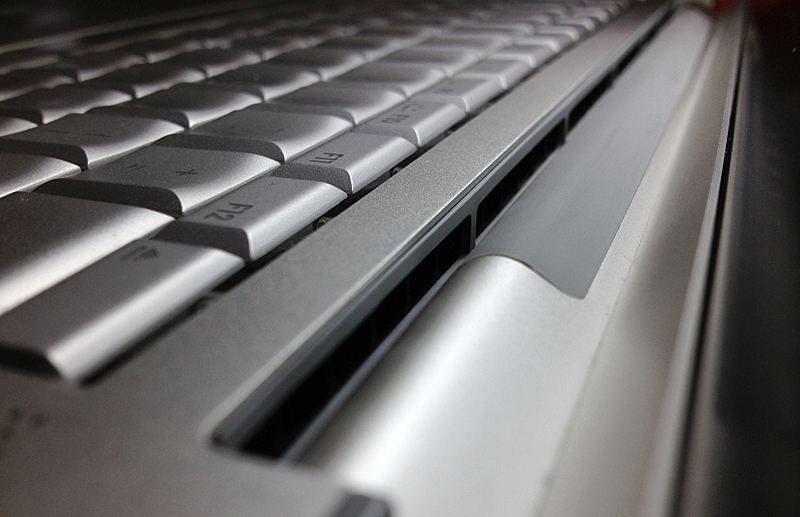 GPU failure is common on Macbook pro’s (and many, many laptop PC’s), due to overheating. Both Nvidia and ATI GPU’s can be affected.. The GPU can become so hot that its solder pads form dry joints. At that point the screen display disappears or corrupts, often intermittently at first until the machine heats up, later full time dead. On most, you then need a new motherboard. This can sometimes be fixed by dismantling the machine and reflowing the solder using a hot-air solder gun or oven (see You-Tube for many how-to’s), but prevention is much better than repair. Dust/fluff is part of the problem, but you’re unlikely to be able to remove it all without dismantling – it gets sucked into the fan ducting. And if you are doing that, replacing the old thermal paste, or pad, between heatsink and CPU and GPU is far the best thing to do. Pads are just about OK when new, but lousy after a few years heat and compression, and best replaced with copper shim + silver-based paste. I did that to my Dell D820 some weeks ago, which was running at 65-90C,with the fan on full. The case would get too hot to put comfortably on my lap. It now runs at 35-62C, case is barely warm, the fan only ever kicks in at half speed occasionally. More importantly I know it isn’t about to kill itself. Wow, Tony, thanks for the added info. Most unexpected and now I feel I shouldn’t feel so smug and clever. It’s possible my laptop is on the edge of failure anyway then since it’s been running hot for quite some time. Still, beyond three years old I count every day as a blessing.